[The REVOLUTIONARY FRONTLINES blog focuses attention on revolutionaries and especially on revolutionary struggles that challenge the capitalist-imperialist world system and all reactionaries. Revolutionaries work within a broad range of struggles as they gather and develop revolutionary forces. 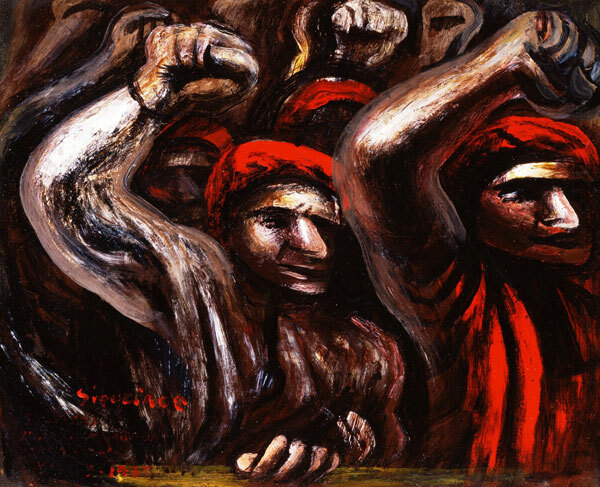 Some such struggles are reform struggles, which are often engaged in debates between REFORMISTS, who seek to contain these movements in reforming the capitalist system, and REVOLUTIONARIES, who promote the growth of revolutionary forces to overturn capitalist state power and establish socialism. In the debates over these directions and goals, NGOs have come to play a major role. For many years, Maoist revolutionaries and many others have exposed the corporate and government project to put revolutionary grassroots organizers on the payroll, and turn them all into single-issue reformist policy wonks and advocates. The corporate project aims and acts to block multi-issue, internationalist advocacy and anti-systemic revolutionary organizing. It is a project called NGO-ism (Non-Government-Organization) or, domestically, non-profit-organizing (NPOs), which ties the careers of organizers to limited reformist goals, for which they receive conditional funding (blocking revolutionary political organizing, and rewarding only limited reform and electoral objectives). The funding for these projects (now millions of NGOs and NPOs, worldwide) comes directly from corporate foundations, which hold a tight leash on NGO advocates and organizers. Many such NGOs claim to have “democratic accountability,” but in times of increasing mass discontent and rebellion, there is a wide, ever-growing programmatic gap between the reforms sought by corporate NGOs, and the sentiments and demands on the grassroots level. So the NGO “project” is not only criticized and opposed by revolutionaries, but also by the purported “base”of the NGOs. And now, corporations and foundations are subjecting their vast project to a kind of “quality control” in which they measure their effectiveness in stemming the opposition to capitalism and imperialism. Are NGOs fit for the purpose of advocacy and campaigning? The World Social Forum, which begins in Tunis today, is an important reminder of the pivotal role civil society organisations have often played in major social and political transformation. The anti-slavery movement played a crucial part in bringing about legislation to end slavery in the 19th century. Across the world, the trade union movement has been the lynchpin behind achieving basic labour rights and improvements in working conditions. The anti-apartheid movement brought about the downfall of the racist apartheid regime in South Africa in the 1990s, while the women’s movement in different historical periods and contexts achieved landmark breakthroughs in law to push for gender equality. There is no doubt that the November 2012 events in Jordan dubbed Habbet Tishreen by many activists in recollection of its 1989 counterpart, the April Uprising, or Habbet Neesan, are unprecedented. Although both were triggered by an increase in the prices of oil derivatives, the 2012 version seems to have been much more radicalized in its approach to the ruling regime, especially the Hashemite monarchs/family and the king himself. Before 2012, it was the virtue of the ultra-brave to publicly criticize the king and the royal family: they usually spoke with evident hints and innuendo, but without going the full route to directly uttering the name of the king. Criticizing the king and the royal family was simply not tolerated under Jordanian law, and it is still punishable by one to three years in prison. The law incriminating this sort of criticism has perhaps the world’s most absurd name for any legislation: literally, the ‘Law on elongating one’s tongue about the monarch’! I was not one of the brave ones, but while others directed their criticism to ‘the government’, I have always referred to “the political authority” in my articles, making a point that governments do not rule in Jordan, they are mere executives, and the decision-making lies somewhere else, in spaces on a higher level: The Royal Court and the General Intelligence Agency (Mukhabarat). With so many unfulfilled aspirations, the recent divide in the Maoist party in Nepal is depressing. Tremendous hope coupled with so many unfulfilled aspirations had drawn the Nepali people to the Maoists, but their dreams now seem to be in the process of being prematurely shattered. Washington’s decision on 6 September to remove the Maoist party from its list of “terrorist organisations” had been on the anvil for the last two years, and it came just when the party seems no longer in a position to upset the status quo any further. The “two-line struggle”, underway within the Unified Communist Party of Nepal (Maoist) [UCPN(M)], reached a point earlier this year when the party’s central committee reconciled itself to the reality of “one party with two lines” and it was only a matter of time when the faction led by the party’s erstwhile vice-chairperson Mohan Baidya “Kiran” would form a new party, which it did on 19 June. The new Maoist party, the Communist Party of Nepal (Maoist) [CPN(M)], hopes to rekindle the aspiration of a people’s democracy – a democracy that takes into account the interests of the workers, the poor peasants, the oppressed nationalities and ethnic groups, women and dalits. Expectations had run high ever since the Comprehensive Peace Agreement (CPA) of November 2006 and when the Maoist party emerged as the largest constituent in the April 2008 Constituent Assembly elections – mainly about integration of the People’s Liberation Army (PLA) with the Nepal Army (NA) and the making of a people’s democratic, federal, republican constitution. Regarding the former, the prospect was of the integration of the PLA combatants with the chain of command intact, thus leading to “democratisation” in the leadership and structure of the NA. The combatants of the PLA had, after all, significantly contributed to the creation of the secular democratic republic that Nepal is today. The commanders should therefore have been treated on par with their counterparts in the NA, so also the soldiers; they should have been automatically absorbed into the NA without any process of selection. Was not integration supposed to have been a merger of the two armies? What has actually transpired is an insult to the dignity of the PLA’s commanders and other combatants. Indeed, it should not have surprised anyone that the 12 April 2012 military takeover of the PLA cantonments along with their weapons was the last straw for the veterans of people’s war period (1996-2006). What of the promise of a people’s democratic, federal, republican constitution? To deal with this question politically, one needs to go back to the 2005 Chunbang meeting of the central committee of the Maoist party where a decision was taken to strive for a “democratic republic” in the immediate term. This was a significant tactical shift, a turning point as it soon became evident, but at that time it was merely seen as a transitional tactic in the path towards a people’s democratic republic. The 12-point agreement of 22 November 2005 with the seven parliamentary parties followed from this. From thereon to the 8-point agreement of 16 June 2006, the CPA, and the 18 June 2008 deal, all of which, taken together obliged the Maoist party to conclude the armed struggle and ultimately disarm. Its logic made them join the bandwagon of competitive multiparty politics, dissolve the people’s governments and the people’s courts that had been formed in the countryside and integrate the combatants of the PLA with the NA. From this followed the return of property, including land, of the landlords that had been confiscated as part of the radical land reform programme. In effect, the Maoists gave up the people’s war and the struggle for new democracy. SINDHUPALCHOWK, Aug 8: General Secretary of newly-formed CPN-Maoist, Ram Bahadur Thapa, said on Wednesday that they were not going back to jungles to start another insurgency. He said the rumor about his party again raising arms was spread by UCPN (Maoist) leaders and claimed that his party would rather send the leaders of his former party to jungle.